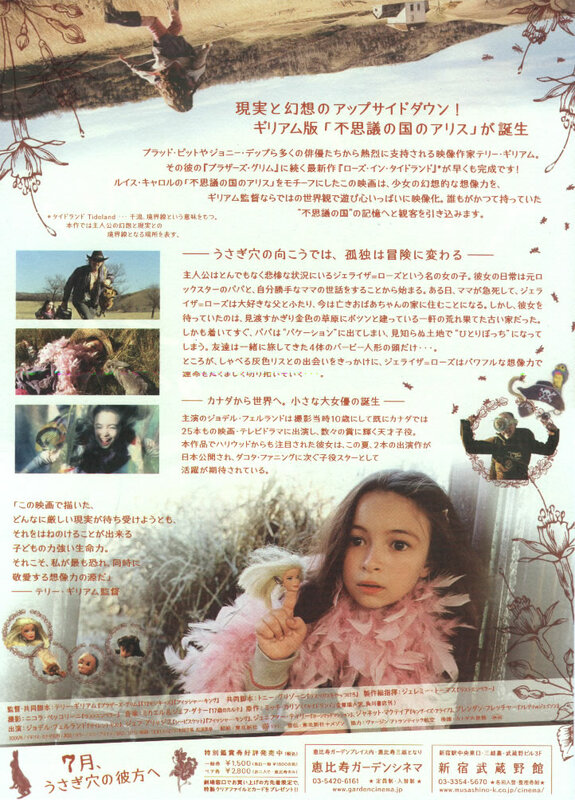 News and Features on Terry Gilliam's picture, Tideland, released in 2006. Edited by Phil Stubbs. EXTERNAL Several minutes of edited footage from Tideland is available from DoP Nicola Pecorini's website. 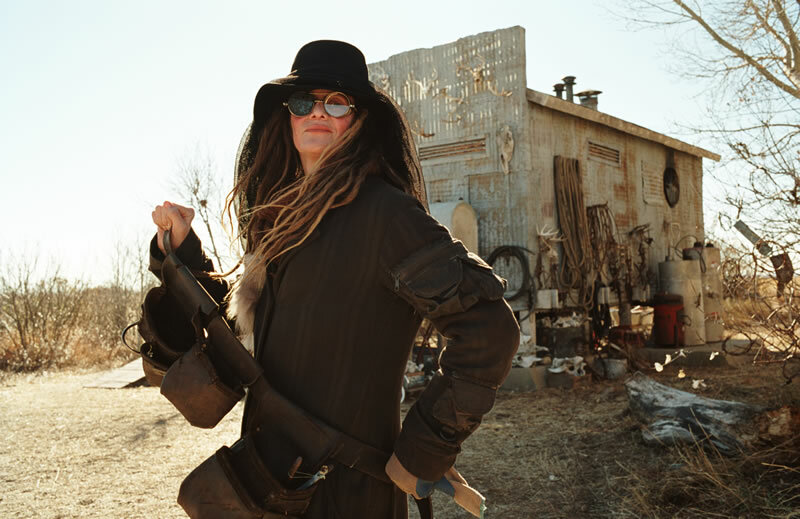 Click on Filmography, then Features, then 1998-2006, then Tideland. Then click "Movie Footage"
If this link does not automatically play the file, then right-click on the link and select "Save As"
"Jeliza-Rose is a young child in a very unusual situation - both parents are junkies. When her mother dies, she embarks on a strange journey with her father, Noah, a rock'n roll musician well past his time. 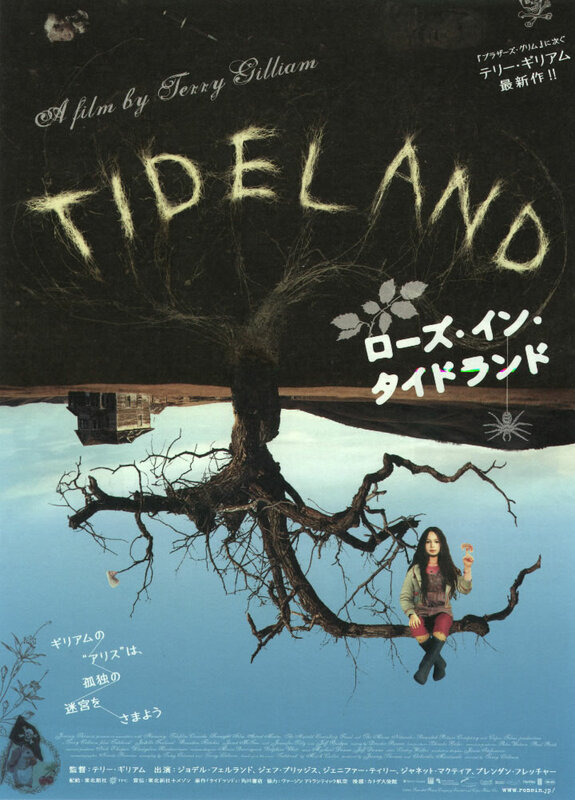 Tideland is a story that explores the resilience of a child and how she survives in bizarre circumstances." 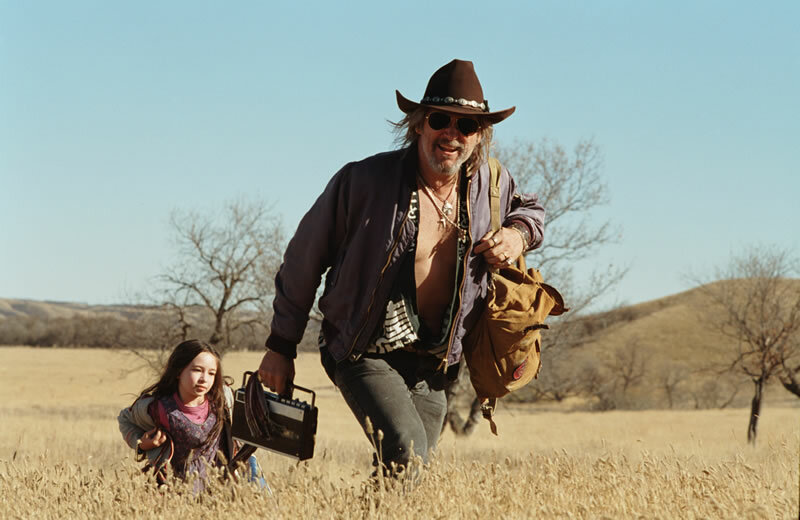 The film features Jeff Bridges, Janet McTeer, Jennifer Tilly and Brendan Fletcher. 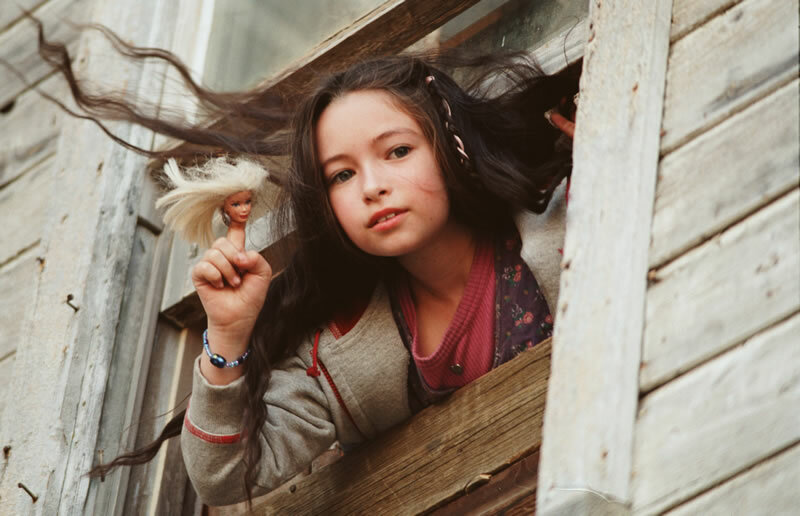 But the picture is dominated by 10-year-old actress Jodelle Ferland as the lead character Jeliza-Rose. The pic was shot at the end of 2004 in and around Regina, in the Canadian province of Saskatchewan.